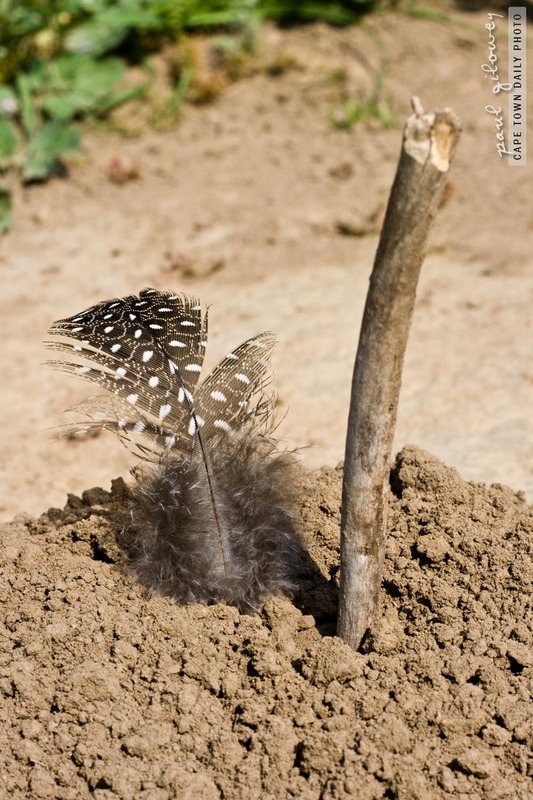 What do you suppose this heap of soil, Guinea Fowl feather and stick would be doing on a path in a field? Is it perhaps a sign of sorts? Could it be a clue to something or a waypoint on a treasure map? I noticed that the soil had been recently placed and carefully looked around the area for footprints - or some other clue as to the presence of someone... but alas, there was none. Posted in General and tagged feather on Wednesday, 20 October, 2010 by Paul.